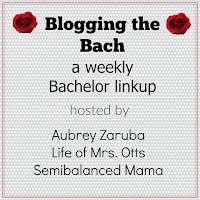 after a few months break from the bachelor, i'm excited to be back for another season of blogging the bach. i liked ben on kaityln's season. he seems like the kind of guy i would want to date in real life, but i'm a little afraid he might be boring. either way i'm sure the girls will more than make up for it. 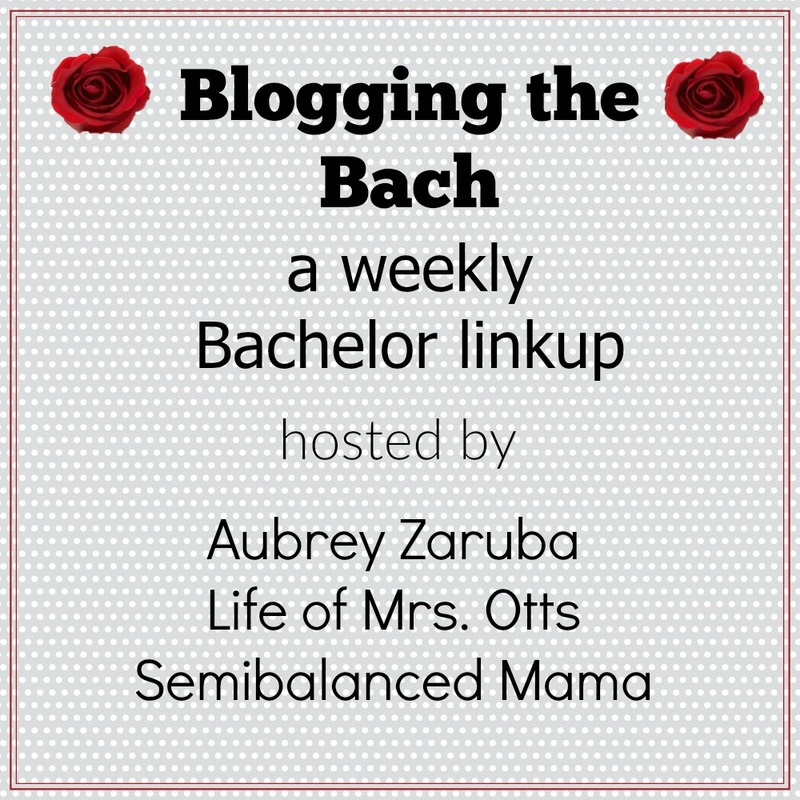 i'm excited to team up with life of mrs. otts and semibalancedmama for a weekly linkup. i love a catch up with the former bach stars, but this is getting a little ridiculous. it's hard to have too many thoughts this early on. i'll have more as the season progresses. laura-red velvet-is that her stripper name? amber & becca-amber's hair looks way better than on paradise, i'm excited becca is back. celsey and lacey made us the cutest treats I've ever seen-roses from melted jolly ranchers. also, we're doing a bracket for the first time this season. i'll post my picks next week. judging by the previews, it looks like we're going to have a lot of crying and a lot of drama this season. i'll have my predictions for the season next week. what are your thoughts so far? 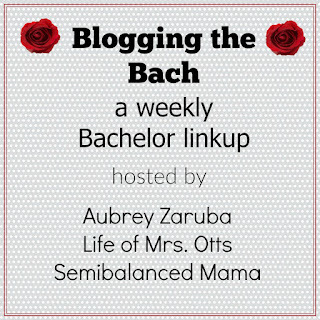 do you blog about the bachelor? grab the image, link up, and hop around, we're not big on rules, but no spoilers please. 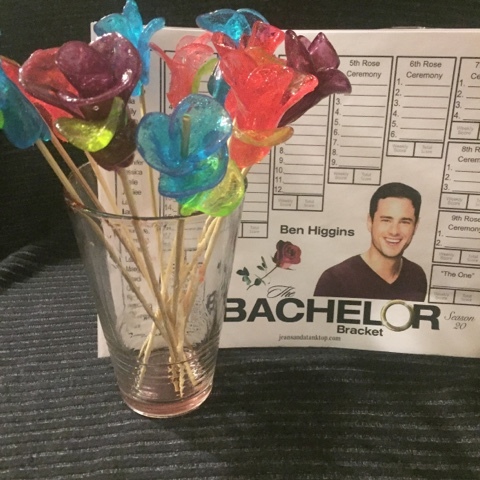 As I was watching the Bachelor last night, I was thinking that I should have done a post like this today. There was SO MUCH I wanted to say. These girls be crazy, first of all. And you already know that Lace is the Tierra of this season. Also... they had Sean come back which is understandable, he's successfully married and having a baby. Jason, who chose someone different and then changed his mind but I guess not who is successfully married and then Chris... who chose someone who dumped him. Clearly he shouldn't be giving advice. SO MUCH DRAMA to come! I heard a lot of mixed reviews last night on Twitter, including Catherine wondering how she got married from the show. I'm going to be watching OnDemand on Fridays and Saturdays this season... if it's worth it. Do you think it's worth it?